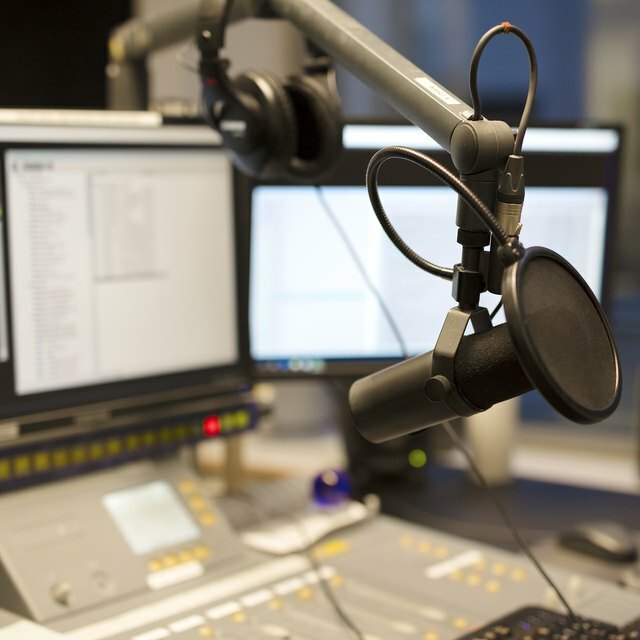 Radio stations require high energy on-air personalities but also need behind-the-scenes employees to bring listeners music, news and talk. The corporate structure of a radio station, whether it's commercial or nonprofit, includes managers, salespeople and technical staff whose combined efforts keep a station on the air and fiscally viable. The general manager oversees the entire station. Her duties include hiring and firing managers, managing the budget and approving and executing strategic plans. Management is supported by administrative workers, including human resources professionals who handle payroll and benefits; an accountant or comptroller who oversees finances, including tax compliance; an office manager who directs the day-to-day running of the office; and administrative assistants who help with clerical work. The program director makes decisions about what listeners hear on the air. He may influence the station's format, and he oversees all departments responsible for producing radio content. If the station offers news, that department will be run by the news director, who supervises and edits the work of reporters, anchors and producers. If the station offers music, it might have a music director who decides which recording artists are featured on the station. Announcers, or "DJs" offer banter, announce recordings and read promotional materials on the air. The radio station will also have an online presence that requires Web and social media producers. Those catchy radio jingles that help pay for the station's personnel and programming are on the air because a salesperson went out into the business community and convinced media buyers to advertise. A manager oversees the sales staff and can decide which prospects to approach. Under the manager's guidance, salespeople do the legwork of building contacts and creating advertising packages that will be attractive to business owners. The marketing department makes sure the radio station is well publicized; its duties include initiating community events and partnerships. The chief engineer oversees the technical elements of the broadcast. This involves transmitter maintenance and troubleshooting, as well as managing all equipment, such as the sound board, microphones and recording gear. Depending on the size of the radio station, the chief engineer may oversee a team of technicians who assist in this process. The technical staff includes board operators, or board ops, who manage the sound levels of a live broadcast, cue tape and monitor the length of on-air breaks so the announcer leaves time for commercials.